Urban Village proposes a 3D urbanism, where density and open space are strategically balanced across the site in both plan and section. The project proposes a vibrant mix of residential unit types organized in ultra-thin towers that emerge from a varied ground topography containing a mix of public amenities, retail programs, work spaces, gardens, and playgrounds. 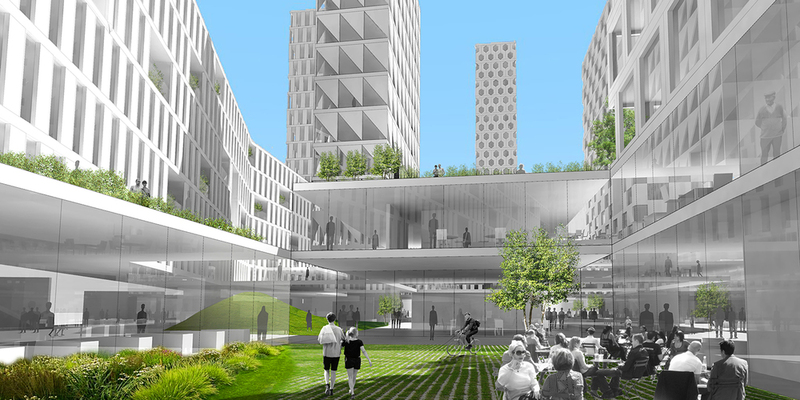 The project recognizes that the nature of the home, the workplace, and public space are all rapidly transforming, and creates a flexible framework able to adapt to this shifting near future. The project critically updates the modernist “tower in the park” model, blurring the boundary between built and green spaces, creating a rich three-dimensional landscape of social interactions. 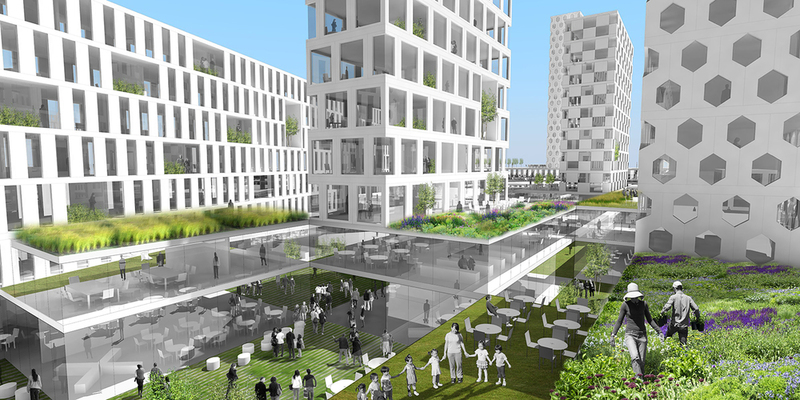 Urban Village treats every horizontal surface as an opportunity for leisure, recreation, interaction, and growth. The massing of the project works as a kind of urban device, defensively sheltering the site from car and train noise pressures at the southern and eastern edges, but generously open and permeable to the future residential neighborhoods to the north and west. The architecture facilitates the chance encounters, social interactions, and collective participation necessary for community, creating the feeling of a village, but with the density and diversity of a small city.